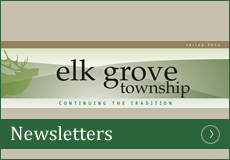 Elk Grove Township Employment Support Center has resources and services for job-seeking residents that includes: resume review, job search help, tips and unconventional ways to find jobs, resource materials, computers, printers, and free seminars. Our staff is ready to serve those who are seeking a new opportunity! We have multiple job listings posted on our resource board in the main hallway and dozens more that are sent out via email blast. If you, or someone you know is looking for employment, please call us at 224-222-0935. The following is a list of FREE Career Seminars that will be presented in 2019. Please note that all Seminars will be held from 10:30 a.m. – 12:00 p.m. at the Elk Grove Township Offices (use South entrance) located at 2400 S Arlington Heights Road, Arlington Heights. 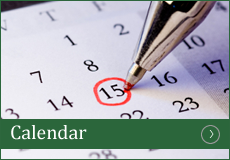 Please note there are NO seminars scheduled for January, March, May, June, September and December. Candidates can reasonably expect to hit two or three of the items that would make them attractive to an employer and highly marketable. Learn the ten things that employers cherish in a job candidate and bring these forward in your next Interview. Temporary Employment Agencies have a certain operating procedure that can be beneficial to a job seeker or detrimental. Learn from someone who has helped to set up these type of firms and the inside insights needed to work with them effectively in finding work. There are times that your primary ambitions simply can’t be met due to outside circumstances beyond your control. When this happens, it is wise to have a plan “B” ready to implement and to be aware of what those “B” options are. We’ll cover how to get started on a Plan “B” in the event you need it. One would like to think that there is a magic wand or formula for doing whatever you like in a job search. This seminar will give you some help in that regard. It will give you the realities as well as the ways to your dream occupation. Sometimes it just doesn’t go right in the interview. We’ll work toward giving you the seven tools used to rescue most interviews when they go haywire. These are practical techniques that have worked for other job seekers, and endorsed by recruiters as generally effective. Presenter: Bob Podgorski – “The Career Guy”. The Federal Office of Management and Budget has increased the passport acceptance fee (execution fee) from $25 to $35. Other fees for passport services remain the same. Customers may apply for their passports through April 1st to avoid paying the higher acceptance fee. The final rule for the acceptance fee was published in the Federal Register on Wednesday, January 31, 2018. Use this link to view the details that can be found on the Federal Register. 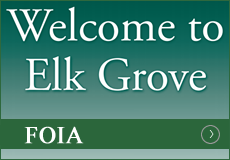 Elk Grove Township invites all qualified vendors to submit responses to this Request for Proposal (RFP) for the Video Production of our Township Board of Trustees’ Meetings which are typically the fourth Monday of each month. Please click here for the complete RFP requirements and details. To Register for a Coast2Coast Rx Card (“The Card”) Click here and then choose “Elk Grove Township, Illinois”. Provide the requested information and then print a copy of The Card . It is a free discount prescription card honored by more than 59,000 pharmacies nationwide and it offers discounts on more than 60,000 drugs. Just follow the easy instructions to register and then begin to receive possible discounts on your medications, dental care and eyecare costs. 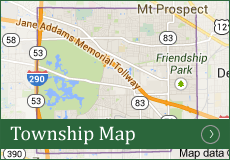 Elk Grove Township has a Vet Center Licensed Clinical Social Worker for Combat Veterans and their families.